Following the nuclear catastrophe of March 2011, Japan announced that it would be shutting down its nuclear facilities in May 2012. For the first time in almost fifty years, the country’s electricity sector was nuclear free, until rigorous tests could ensure that a Fukushima-type disaster would not occur again. The decision was met with mixed responses: environmental activists and anti-nuclear groups were ecstatic; celebrating what they believed was a victory that had been a long time coming. On the other hand, others argued that the nuclear shutdown posed serious economic and environmental threats to the country. At the time of the announcement, Japan’s minister of Industry, Trade & Economy expressed concerns that the country would face severe electricity shortages without its nuclear fleet. The Japanese government promised that a revised long-term energy plan that would reduce dependency on nuclear power, and increase renewable generation would be released toward the end of the summer. 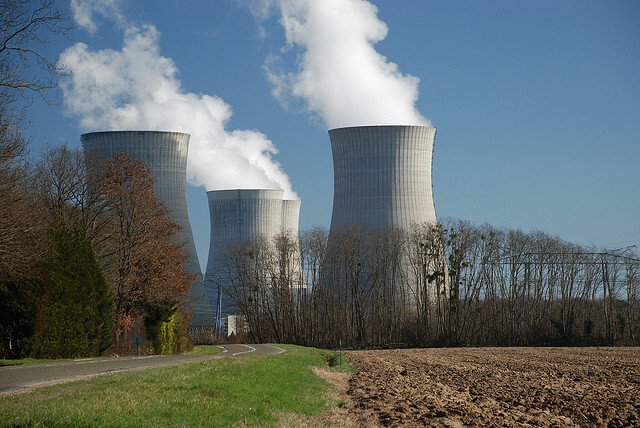 However, in mid June 2012 the government announced that two reactors would be restarted; one recommenced operation in late June, while the second is scheduled to restart by the end of July. Unsurprisingly this decision too, was met with controversy: thousands of anti-nuclear protesters gathered in Japan in the days leading up to Prime Minister Yoshihiko Noda’s announcement. Is this environmentally sound policy? Let’s examine the facts: prior to Fukushima, nuclear power supplied 30% of Japan’s electricity needs while renewable energy (mainly hydro, with a few wind, solar and geothermal facilities) constituted a total of 9% of the electricity market. Despite no coherent energy plan finalised to date, the Japanese government introduced feed-in-tariffs and other incentives for individuals and small business to invest in renewable energy installations, and announced plans to commence tidal power plants in 2013. While these are all worthy investments and will surely form a large part of the long-term energy policy, they cannot supply 30% of the country’s electricity needs in the short term. Instead, the government was forced to import record volumes of Liquefied Natural Gas (at a cost of $100 million USD/day), and turn to coal and oil facilities to meet the deficit. In addition to the obvious environmental drawbacks of an increased dependency on fossil fuels, it also led to economic instability, contributing to Japan’s first trade deficit in many decades. Experts warned that keeping the reactors shut down could hit industries hard and severely hamper economic growth. In all generating facilities human safety should be the highest priority: the shutdown and rigorous testing of all of Japan’s nuclear stations is definitely necessary to minimise risk and regain public trust. However from an environmental perspective, I hope that this shutdown will be temporary, and that a more sustainable policy will soon take its place.